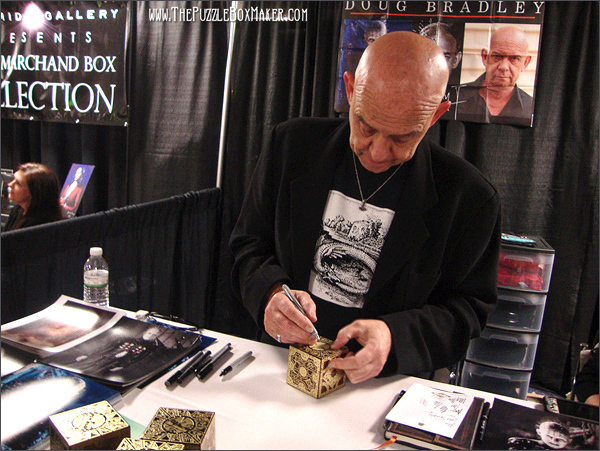 These boxes were signed by Doug Bradley, AKA Pinhead, Himself. 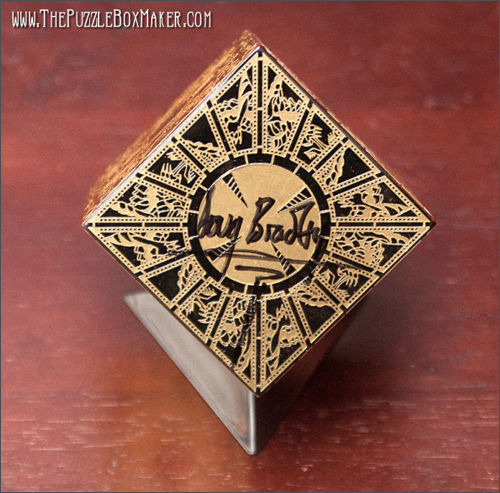 Below are images of the etched brass and mahogany Hellraiser Puzzle Box singed by Doug Bradley. This puzzle box is the one that is Screen Accurate to the movie.